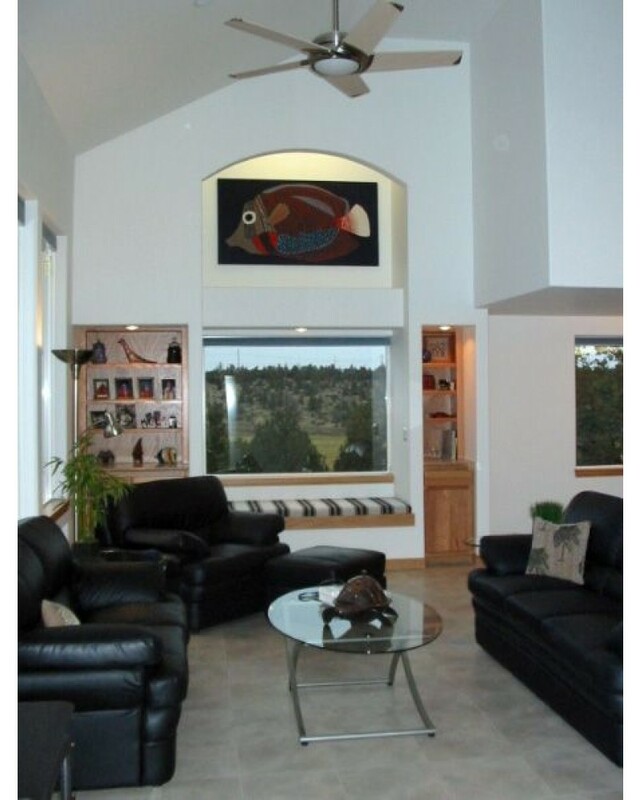 This passive-solar home greets you with a large covered entry patio. You enter into a large vaulted great room transitioning up the stairs to an open balcony and study which takes you outside to a large view deck. 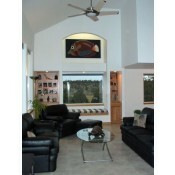 The lower level has a great home theatre room and guest room from. 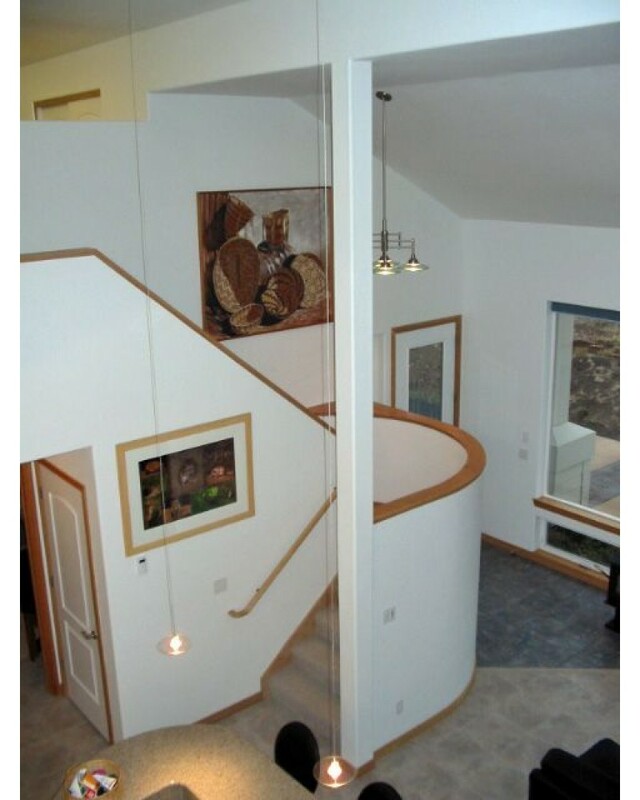 From the upper balcony you can enter a working double office with library storage. 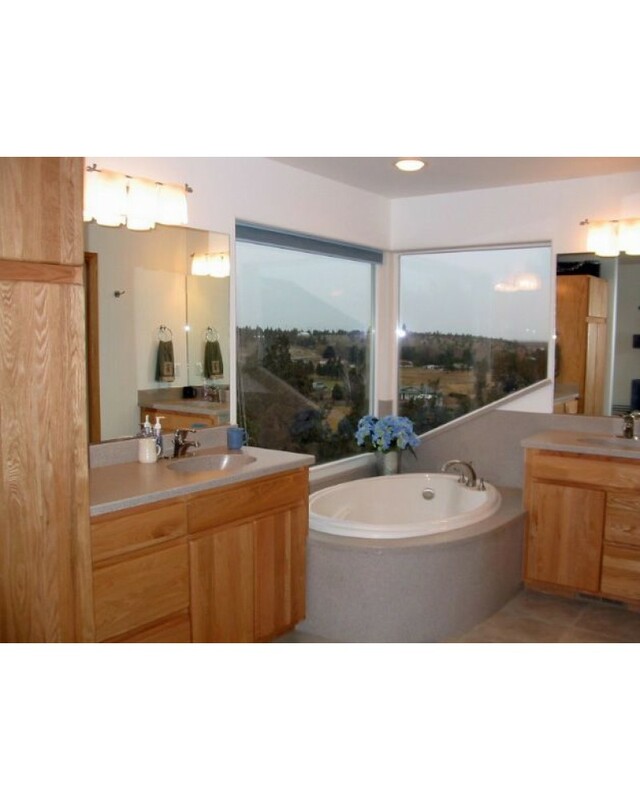 The upstairs master suite has a window seat soaking tub and spacious dressing room. 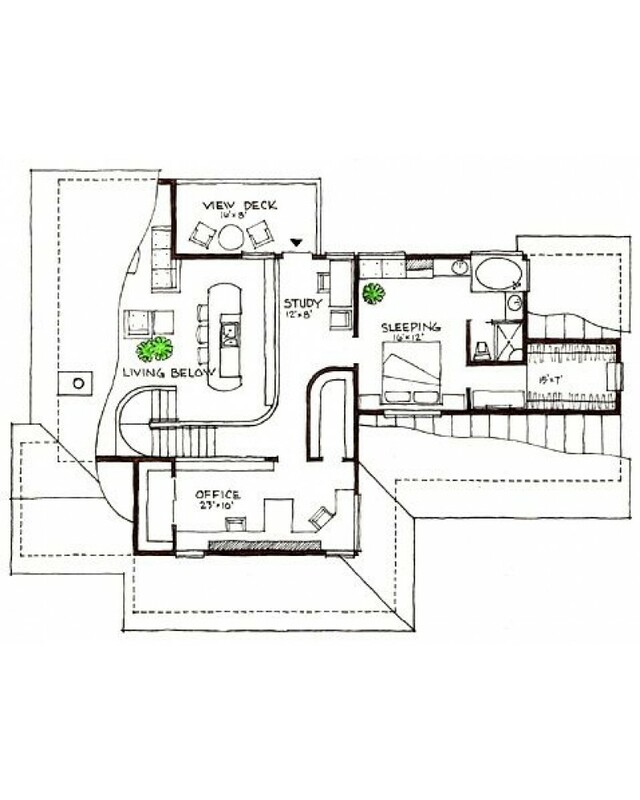 The plan is very space efficient with feature upon feature that you and your guests will enjoy for as long as you live in this energy-efficient home. 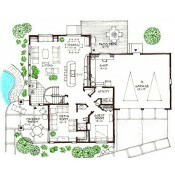 The plans include a two-zone radiant-floor heating-tube layout for the lower level a fan coil forced-air heating/cooling system for the upper level and a heat recovery ventilation design to assure you of the proper amount of fresh air ventilation without the sacrifice of energy and discomfort in conventional homes. 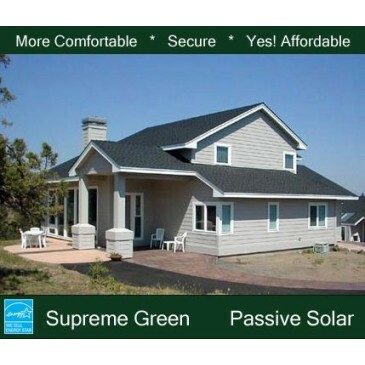 Our 102-page Conservation Guide providing the latest in building science and proven cost-effective energy-saving features that you may incorporate in the construction of your new home is also included. 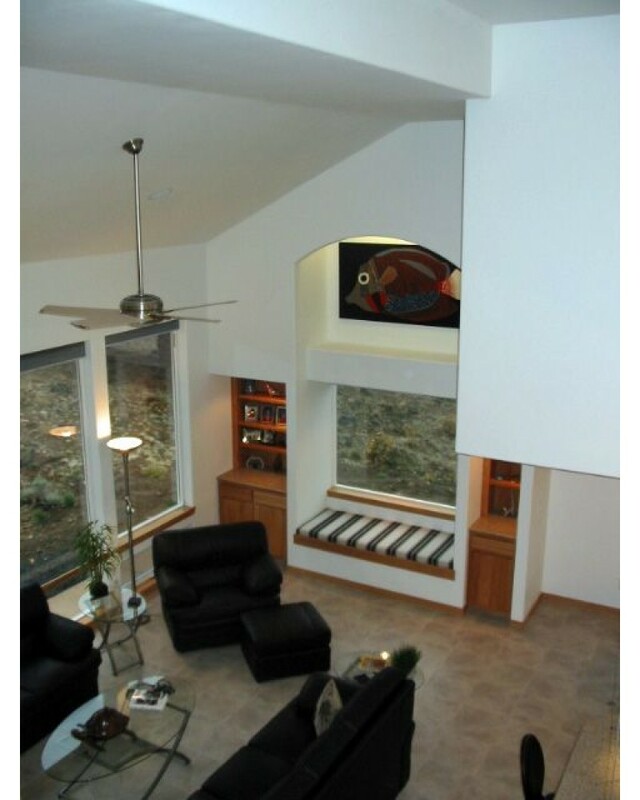 Style: Modern Contemporary – Two Story with Master Bedroom Up This passive-solar home greets you with a large covered entry patio. You enter into a large vaulted great room transitioning up the stairs to an open balcony and study which takes you outside to a large view deck. 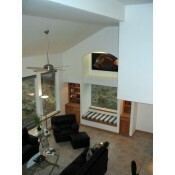 The lower level has a great home theatre room and guest room from. 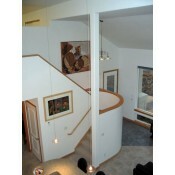 From the upper balcony you can enter a working double office with library storage. 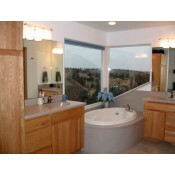 The upstairs master suite has a window seat soaking tub and spacious dressing room. 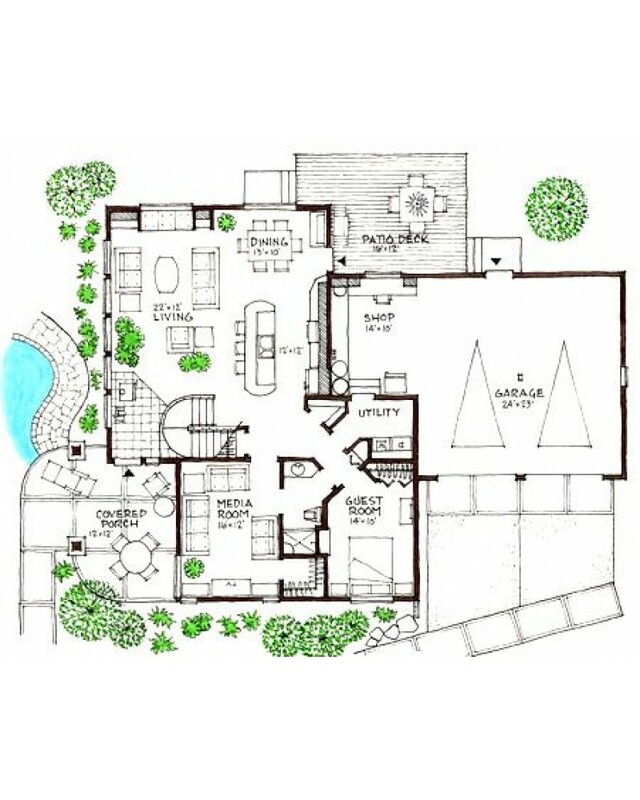 The plan is very space efficient with feature upon feature that you and your guests will enjoy for as long as you live in this energy-efficient home. 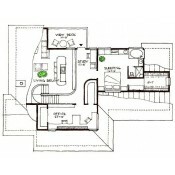 The plans include a two-zone radiant-floor heating-tube layout for the lower level a fan coil forced-air heating/cooling system for the upper level and a heat recovery ventilation design to assure you of the proper amount of fresh air ventilation without the sacrifice of energy and discomfort in conventional homes. 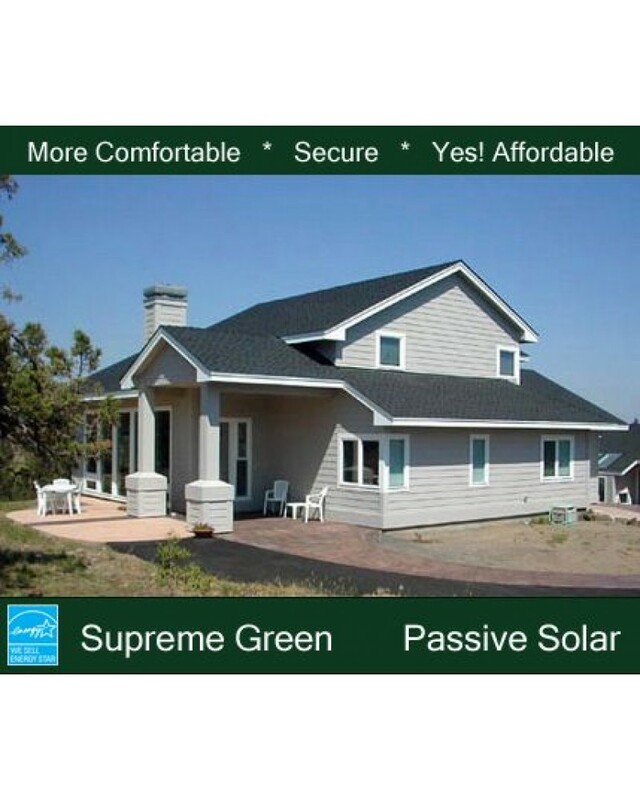 Our 102-page Conservation Guide providing the latest in building science and proven cost-effective energy-saving features that you may incorporate in the construction of your new home is also included.